Avery Elle: Kasia & Chunyuan Are With Us Today! 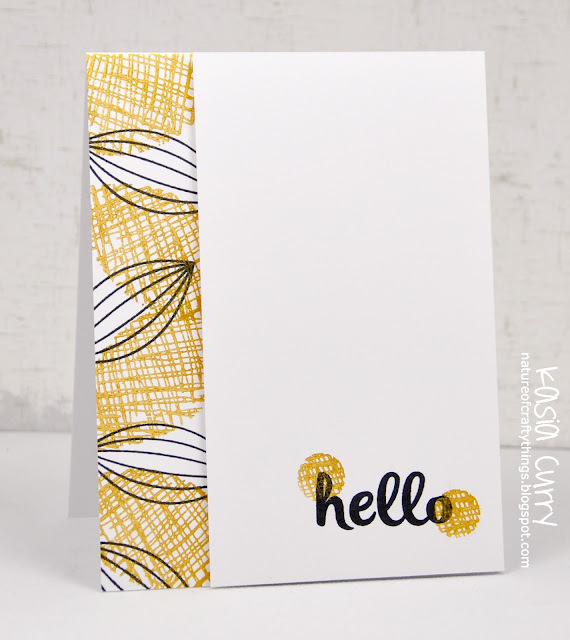 Today we have Kasia with this STUNNING card. She expertly used the stamps from our Modern Leaves clear photopolymer stamp set and inked them up in gold and black. I could just gaze at this card all day long! 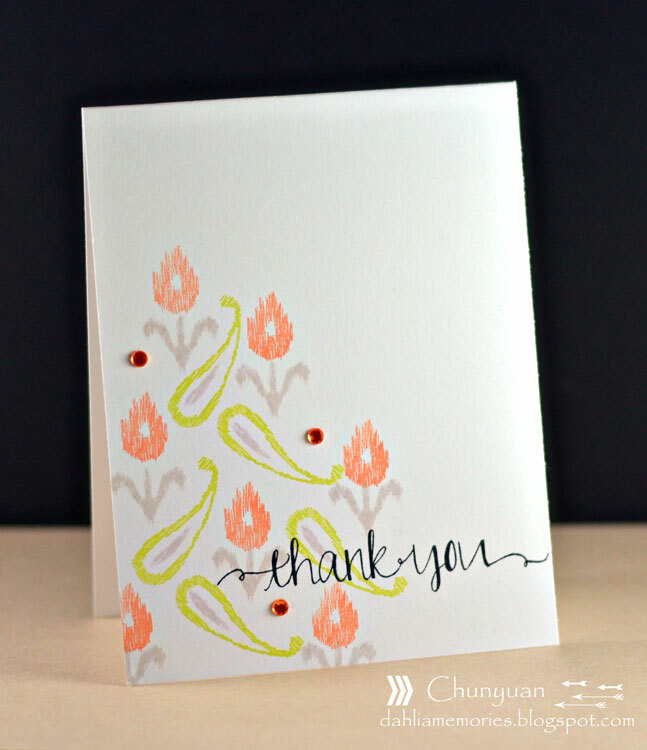 Chunyuan created this card using our Ikat Additions and Oh Happy Day clear photopolymer stamp sets. She specifically requested this additions set after wanting more pattern making options to go along with our original Ikat set. She thought about cutting that set apart but just couldn't bring herself to do it. ;) I love the way she has brought these stamps to life! Love both cards so much! Beautiful work, Kasia and Chunyuan!